On 19 March, the China Platform of Ghent University and the Chinese Student and Scholar Association of Ghent University (ChiSAG) will jointly organize a China Networking Event in Het Pand from 4:00 until 8:00 pm. Apart from our students, staff and professors, also external members from the public authorities, business world and media will be invited. The aim of this event is to put the spotlight on our China cooperation of the most recent years in a more informal way and we would like to offer the opportunity to the members of the Strategic Partnership China (Province of East Flanders, City of Ghent, FCCC and North Sea Port) to give a survey of the developments in their cooperation with China. At the same time, we want to create a unique opportunity for the staff and professors of Ghent University, who do not yet have a cooperation with China, to get to know this country in all her aspects. China remains a hot topic in our media and consequently, we think it would be an ideal moment to put China in the spotlight in our own open-minded manner with the motto of Ghent University “Dare to Think” in the back of our mind. Mr. Stefan Blommaert will come to present his new book “De Eeuw van Xi”. The speakers will be announced by Mrs. Inge Mangelschots, coordinator of the China Platform. Chinese Vice Premier Liu He (4th from right) with U.S. Trade Representative Robert Lighthizer (4th from left) and Treasury Secretary Steven Mnuchin (3rd from left) before the start of U.S.-China trade talks at the White House in Washington on February 21. U.S. President Donald Trump has announced he will delay an increase in tariffs on Chinese goods that had been scheduled for March 2, citing “substantial progress” in trade talks with China over the weekend. He also said he would hold a summit meeting with Chinese President Xi Jinping at his Mar-a-Lago estate in Florida next month to conclude an agreement, assuming both sides made additional progress. Trump tweeted that progress had been made on “structural issues including intellectual property protection, technology transfer, agriculture, services, currency, and many other issues” in the talks in Washington. He ended his tweet by saying that it had been a “great weekend” for the U.S. and China. The high-level talks in Washington were planned to last two days, but were extended by another 48 hours, after which President Trump decided that sufficient progress had been made to allow for a delay in raising tariffs on USD200 billion of Chinese imports from 10% to 25% on March 2. More negotiations will be held to make further progress before a Trump-Xi summit would be held. 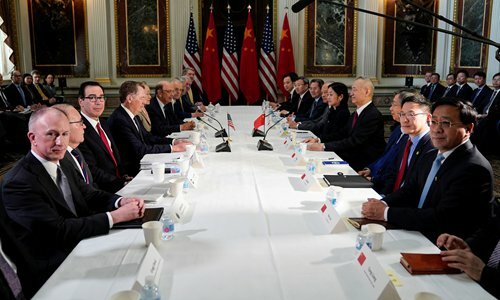 Trade talks between the U.S. and Chinese delegations had resumed in Washington with the aim of signing a memorandum of understanding to solve the trade dispute. The leader of the Chinese delegation, Vice Premier Liu He, has been upgraded to “special envoy of President Xi Jinping” for this seventh round of high-level economic and trade consultations. This gave him authorization to make significant decisions or sign agreements, according to Bai Ming, Deputy Director of the Ministry of Commerce’s International Market Research Institute. Vice Premier Liu He once again had a meeting with President Trump, after which the two day trade talks were extended for a further 48 hours, as the negotiators appeared closer than ever to reaching a deal that would avert further escalation. They said a trade-war deal is ‘extremely’ likely. China would sharply boost purchases of U.S. agricultural products and open its electronic payment market to Visa and MasterCard. A final agreement to end the trade war – in which Washington has levied taxes on USD250 billion of Chinese goods, prompting Beijing to retaliate with tariffs on USD110 billion of U.S. imports – would require a face-to-face discussion with China’s President Xi Jinping, Trump said. One U.S. demand is that China keeps the yuan stable, as a devaluation would negate the impact of the tariffs. The U.S. also considers an enforcement mechanism to be an extremely important component of any final deal that would distinguish it from those reached by previous administrations. But China will not be happy with a deal that does not fully eliminate tariffs or allows for them to be reimposed at will by the U.S.
President Trump also said that the U.S. “may or may not include” the subject of Chinese telecom firms Huawei Technologies and ZTE in the trade deal. Though he said that dropping the criminal charges pending against Huawei was not currently under consideration, Trump said his negotiating team would be “discussing all of that during the course of the next couple of weeks and we’ll be talking to the U.S. Attorneys, we’ll be talking to the Attorney General.” Trump added that he did not want to “artificially block people out based on excuses or based on security”. U.S. Secretary of State Mike Pompeo has said that “if a country adopts Huawei and puts it in some of their critical information systems, we won’t be able to share information with them, we won’t be able to work alongside them”. The Chinese Foreign Ministry has rejected the United States position on Huawei, saying China hopes all countries will abide by the principle of fair competition, and jointly safeguard a fair and non-discriminatory market environment. The comment followed U.S. Vice President Mike Pence warning U.S. allies should take seriously “the threat” posed by Huawei as they look for partners to build 5G wireless infrastructure. U.S. officials also said that under China’s National Intelligence Law, companies such as Huawei or ZTE could be compelled to hand over data or access to it to Chinese intelligence. “These are mistaken and one-sided interpretations of Chinese laws,” Foreign Ministry Spokesman Geng Shuang said, adding that Chinese law protects the legitimate rights and interests of citizens and organizations. Huawei’s Founder Ren Zhengfei has maintained a consistent message in recent media appearances: Huawei does not spy for the Chinese government and will not share data with the Chinese government. In an interview with the BBC on February 19, Ren said that the arrest of his daughter Meng Wanzhou in Canada was politically motivated. “Firstly, I object to what the U.S. has done. This kind of politically motivated act is not acceptable,” Ren told the BBC. His move into the limelight was unusual for the normally low profile Ren, who generally likes to focus more on internal management and communicate with employees in small groups. But Ren and Huawei executives are communicating more proactively with the outside world these days as the company seeks to project a more transparent and open image. In mid-February, Huawei also posted a page called Huawei Facts on its website, available only in English, aimed at answering common questions about the Chinese company, such as its background, its global businesses, and its official responses to recent business setbacks. Huawei is preparing to deploy ultra-fast 5G network coverage at Shanghai’s Hongqiao railway station, which would become the first railway hub in the world to be equipped with 5G coverage. Passengers will be able to download a movie in 20 seconds when the system is fully implemented around September. With tech support from Huawei and China Mobile’s Shanghai branch, the digital indoor system (DIS) is specially optimized for indoor data telecommunications on 5G. The technology meets the needs of high-density areas with thousands of people simultaneously using the network to make phone calls, access the internet and make mobile payments. At present, 5G signals are transformed into Wi-Fi signals in several spots in the railway station. It is free now and available to all smartphones. 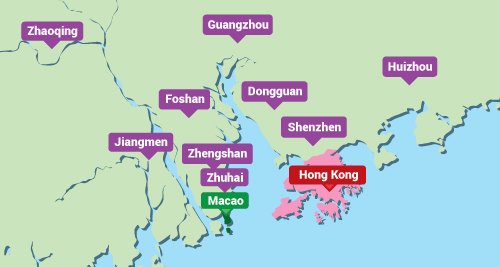 Hongqiao railway station handles more than 60 million passengers every year. The station’s trial 5G network, through its Wi-Fi connections, offers internet access 15 to 20 times faster than the current 4G network, according to Shanghai Daily’s on-site test. The Beijing municipal government plans to invest at least CNY30 billion by 2022 to build 5G networks to help the Chinese capital gain a lead in commercializing the technology and expedite pioneering applications such as self-driving vehicles and remote healthcare, experts said. China is expected to have 576 million 5G users by 2025, or more than 40% of the global total. The China Academy of Information and Communication Technology also forecast that 5G will drive CNY6.3 trillion of economic output in the nation by 2030. 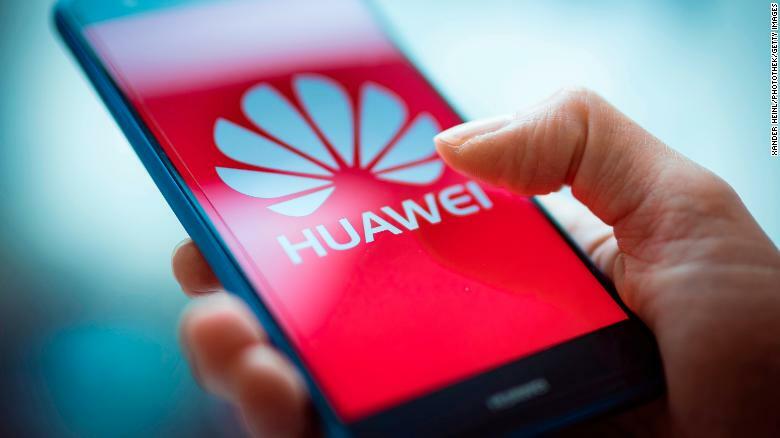 Ciaran Martin, Director of Britain’s National Cyber Security Center (NCSC), said that the UK could handle the risks posed by Huawei. “Because of our 15 years of dealings with Huawei and 10 years of a formally agreed mitigation strategy which involves detailed provision of information, we have a wealth of understanding of the company,” Martin said in a speech at the Cybersec Brussels Leaders’ Foresight forum. His comments imply that British authorities had not enough proof to warrant a complete ban on Huawei in the country. Martin also chairs the Huawei Cyber Security Evaluation Center (HCSEC) Oversight Board, set up in 2014, which assesses any risks that might occur from Huawei’s involvement in Britain’s national telecom infrastructure. “Any company in an excessively dominant market position will not be incentivized to take cybersecurity seriously,” he said, rejecting the notion that Huawei equipment poses higher risks just because the company is Chinese. At this year’s MWC Barcelona, the largest exhibition for the global mobile industry, Huawei is one of the event’s major sponsors and will join a showcase exhibit called GSMA Innovation City, which will feature the latest advances made possible by 5G mobile networks, artificial intelligence (AI) and data generated from multiple devices under the so-called Internet of Things (IoT). The four-day event started on February 25, expecting 110,000 visitors. “Huawei’s presence at MWC Barcelona, especially in the GSMA Innovation City exhibit, is important for the company to show the industry that it continues to offer leading-edge technology and that operators will miss out if they don’t use its products,” said Edison Lee, Jefferies Equity Analyst covering Hong Kong-listed ZTE, China Mobile, China Unicom and China Telecom. Meanwhile, Huawei launched a luxury 5G phone with a folding screen, only days after Samsung pioneered the new design with its Galaxy Fold smartphone. The Huawei Mate X is the company’s most expensive with a price tag of €2,299, setting a new upper limit for consumer smartphones. Introduced at MWC19 in Barcelona, the Mate X has a flexible OLED display that covers both the front and back of the device, and which unfolds outwards to become an 20 cm tablet screen. The top two most innovative companies in the world are from Asia, according to Fast Company, a U.S. business magazine, in the latest sign that the West is waking up to the fact that a lot of innovation today is taking place beyond Silicon Valley. China’s Meituan Dianping, which offers an app-based service that expedites the booking and delivery of services such as hotel stays, movie tickets and food, has taken Apple’s crown as the world’s most innovative company in Fast Company’s 2019 ranking of the world’s 50 most innovative companies. Immediately behind Meituan Dianping’s No 1 position is Singapore-based Grab, a ride-hailing company that has expanded to offer its 130 million users not only food delivery and travel bookings but also financial and other services. Dubbed by Fast Company as “transactional super apps”, both Meituan Dianping and Grab are recognized for the changes they have brought to hundreds of millions of Asian consumers. This not only relates to buying food and booking hotels but also the transformation the companies have brought to local businesses in terms of digitizing their operations and fueling their growth and expansion. The 2019 ranking is the first time a non-U.S. company has been chosen as the world’s most innovative company since Fast Company started compiling the rankings in 2008, reflecting the rise of innovation in regions beyond Silicon Valley, particularly in Asia. “They may not be well known in the U.S., but Meituan and Grab are changing the lives of hundreds of millions of consumers and millions of merchants with highly complex operations disguised as simple transactions – elegant tech to enable real-world experiences,” Fast Company wrote, explaining the rationale behind the ranking. Having facilitated 27.7 billion transactions worth USD33.8 billion for more than 350 million people in 2,800 cities in the first half of 2018, Meituan Dianping is one of China’s biggest on-demand services providers. The sector has been the cradle for some of the country’s biggest tech companies, including ride-hailing giant Didi Chuxing and bike-rental firms such as Ofo. Beijing regards on-demand services as one of the important sectors in its plan for an innovation-driven economy. Despite the far-reaching impact of Beijing-based Meituan Dianping it has yet to turn a profit although analysts have projected that it will move into the black next year, the South China Morning Post reports. Apple, which has often topped the rankings including in 2018, fell to 17th spot this time as it “did not really break new ground with their devices, and hardware sales were sluggish”, Fast Company Senior Editor Amy Farley said.